Donations are still welcome towards our bowling event goal of $60,000 to make 6,000 more braille books! Seedlings' books are ALWAYS on sale. it costs to make them! 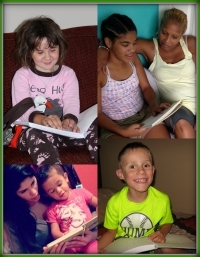 See how Seedlings helps children on "Under the Radar Michigan"! Adobe Acrobat Reader is required to view the Acrobat Version of the Seedlings order forms. This is a free plug-in from Adobe. "By the touch of a finger behold the world." © Perspective Et.